Here we have compiled a collection of our favorite useful and popular plugins. Match Profile is simple plugin to collect marriage data. It can display the information in admin panel, easily serach the marriage profile as per requirements. Add [wl_mp_marriage_form] shortcode on any Page / Post to display marriage form on the website. 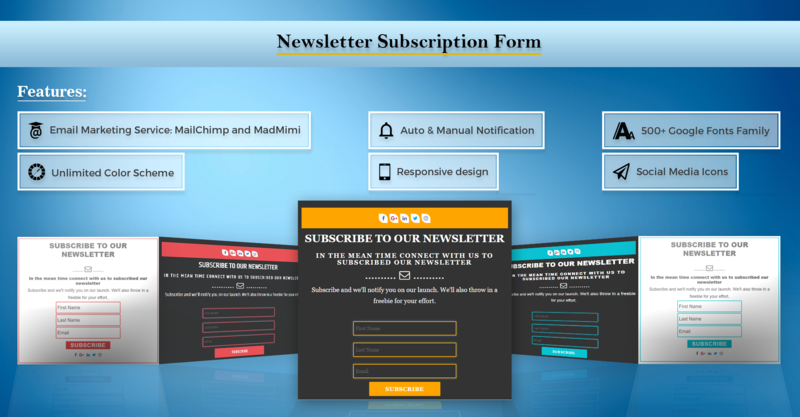 Then, the user can provide necessary details and submit the form. Lightbox Gallery is a fully responsive WordPress gallery plugin with hyper-advanced functionality and user-friendly options. Create 100% responsive FREE WordPress lightbox photo gallery in minutes. Easy to customize and so many views to choose from. Institute Management is a comprehensive plugin to manage institute related activities such as courses, enquiries, registrations, fees, students, staff, etc. It can display enquiry form in front-end or can create enquiry directly from admin panel. Student registrations can also be done on the basis of enquiries. It also allows the fee submission in installments. Flickr Album Image Gallery is based on Flickr JS API. Use Flickr image gallery plugin to display all your Flickr Albums on your WordPress Blog Site. You can use your own Flickr API and Flickr Album ID to publish Flickr Albums on your WordPress Blog website. Online booking, reservation, appointment scheduling made easy on the website by appointment scheduler WordPress plugin. Add [appointment] shortcode on any Page / Post to display booking form on the website. The user will select a service from list, date and time according to his need then fill his details and confirm the appointment for booking. Admin custom login plugin gives the ability to customize your WordPress admin login page according to you. Pugin allows changing background color, background image, background slideshow, login form color, login form font size, login form position, add social media icon on form and many more features.